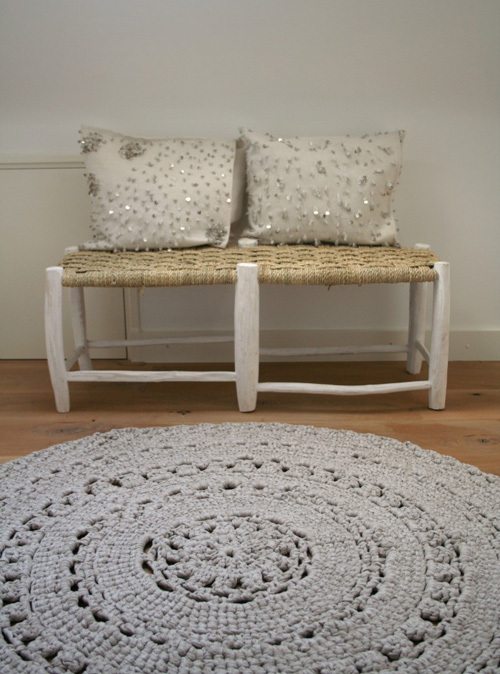 This week Le Souk is offering a 25% discount on these hand crocheted rugs (available in 2 sizes) and on the hand knitted rug/blanket. This offer is valid until 4 June or until supply lasts (only a few left available!). 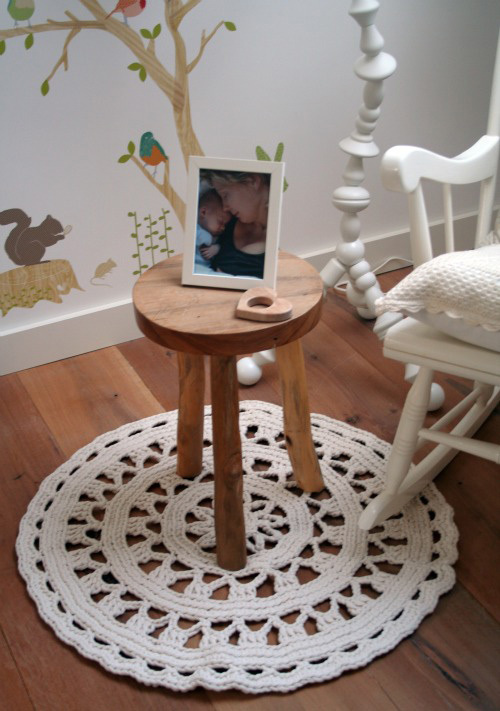 The crocheted rug has been featured in many interior magazines such as VT Wonen and it was also used in the VT Wonen booth on the Woonbeurs last year. Love the rugs! They make me want to learn to crochet!